Forest Fawns Baby Deer Statue Garden Outdoor Sculptures. 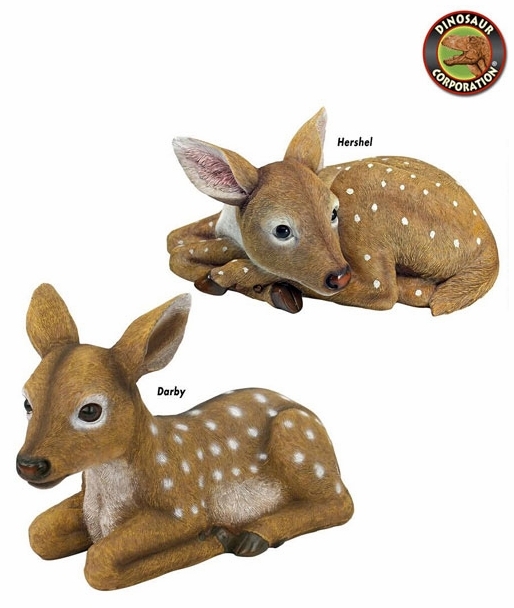 Our newborn fawns, Darby and Hershel, garden statues will find a special place in any nature lover's heart. Creating endearing deer silhouettes in the garden, these charming woodland animal statues are cast in quality designer resin and hand painted for outdoor display. * Hershel size: 13" W x 8" D x 6" H.
* Darby size: 14�" W x 6" D x 9" H.